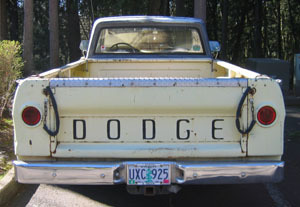 This truck was added in Jan 2006 by Kery Nelson of Oregon. 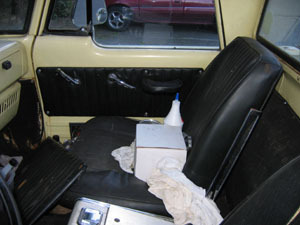 The truck is a 318 and has had some minor changes to it like the seats recovered and the paint redone. 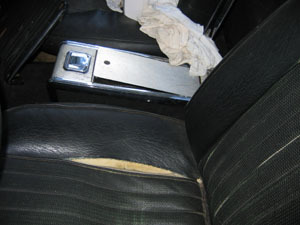 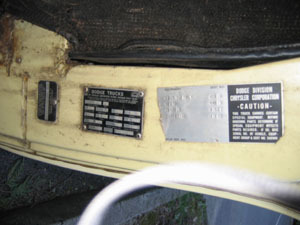 the seats, console and carpet are inplace and is verified by the original SERT sticker. 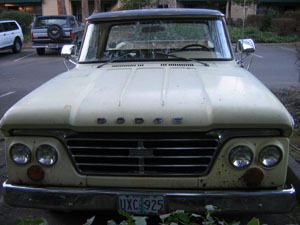 it also has the optional HD gauges and a nice pair of chrome bumpers.